With my head ducked down behind the small flyscreen and the exhaust note of the highly-tuned two-stroke single resonating off the surrounding walls, it took little imagination to conjure up a mental picture of me leading the pack in the 1965 Thruxton 500 mile production race. A fantastic race, which saw Kent star Derek Minter and his co-rider Peter Inchley win the quarter-litre class on the Gloucester single; a bike with a top speed of 105mph and described by journalist and racer Bruce Main-Smith as ‘…the fastest 250cc road bike of its day.’ As I sat on the roof of my big brother Rod’s A40 van watching the bikes howl by, little could I have imaged that over 50 years later I would be riding a clone of the same machine which finished third overall on that summer’s day in 1965. The Villiers Starmaker-engined Conquest was in period a very rare beast and on speaking to someone who worked at the Cotton factory, he estimated only around 20 of the factory prepared race replicas were made at the Vulcan works. 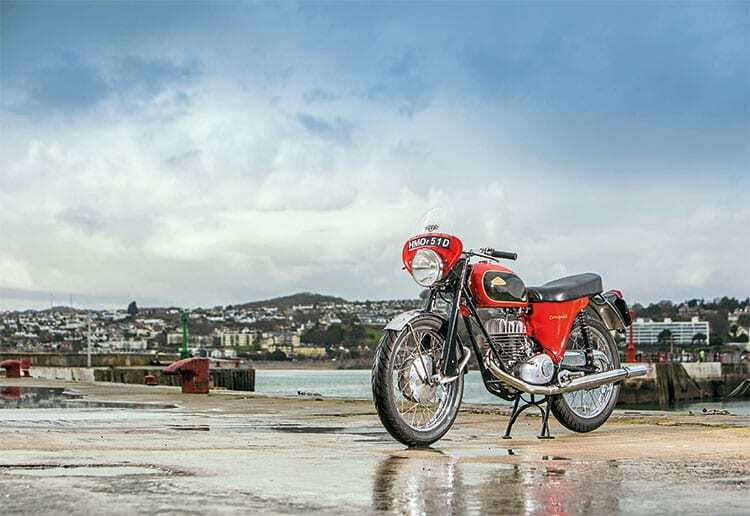 In the mid-1960s our test bike – which carries the frame number of CQ65/9 – was the ninth one manufactured that year and is now owned by Devon enthusiast Dave Cole. Quick and nimble and a pleasure to ride, it’s no wonder the Conquest conquered.